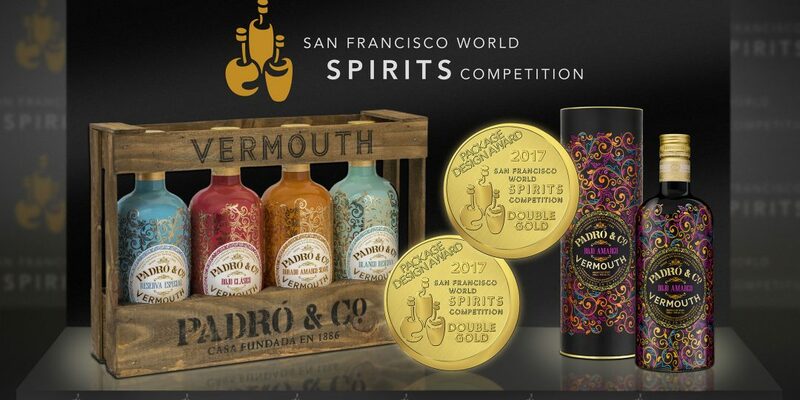 The Padró & Co. vermouths have triumphed once again at the San Francisco World Spirits Competition (SFWSC). The most prestigious spirits competition in the US has awarded two Double Gold medals to the Spanish producer’s bottle designs in its packaging design event, which received a total of 170 entries. The first of the two medals went to the Rojo Amargo, in the individual category and the second, to the 4-bottle pack consisting of the Dorado Amargo Suave, the Blanco Reserva, the Rojo Clásico and the Reserva Especial, in the series category. These medals, awarded at the competition which took place on 21st April at the Nikko Hotel in San Francisco, are a further two awards to add to the numerous accolades received by Padró & Co. during the brand’s first year on the market. 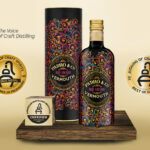 The vermouth producer’s Rojo Amargo and Dorado Amargo Suave already received Silver and Bronze awards, respectively, at this year’s SFWSC in the tasting part of the competition. 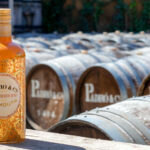 The Padró & Co. vermouth packaging, designed by the Padró team, combines a vintage style with an appealing current day look. The Rojo Amargo, most recent addition to the Padró range, is especially captivating. The packaging includes a colourful arabesque design which changes when UV light falls on the bottle. In normal light, the copper colours prevail whilst in UV light, the the bottle and its fluorescent colours become even more eye-catching. The arabesque design is predominant on the packaging of all the other vermouths in the range and the choice of colour for each different vermouth reflects the close bond between each bottle and the vermouth inside it. Added to this are the oval labels bordered also with arabesque designs and reminiscent of the traditional barrels in which the vermouth is made; the arabesque design evokes the plants, flowers and spices used to make this alcoholic beverage and the presentation in a vintage-style wooden crate bring out the essence of the past. For all these reasons, these two new accolades reaffirm the excellence of Padró & Co., not only as a range of quality alcoholic beverages but also as a top-ranking presentation and design.